Please see the information in the following flyer if you are interested in staying in a hotel close by the California Theatre. 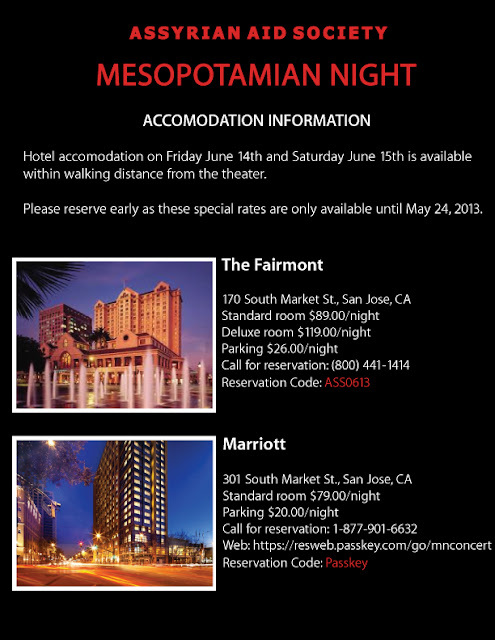 Our MN team has negotiated good rates for our patrons with two hotels in downtown San Jose. This is a donation to the AAS to help provide assistance to Assyrians in the Middle East. I know of your work with Assyrian children in Iraq, and I read recently about your assistance to Assyrians enduring the current turmoil in Syria. I trust the association to apply the funds wherever they can best assist those in need. This is indeed encouraging and heartwarming. We are hoping to continue to work with Mr. John Craton and Wolfhead Music in our future projects. 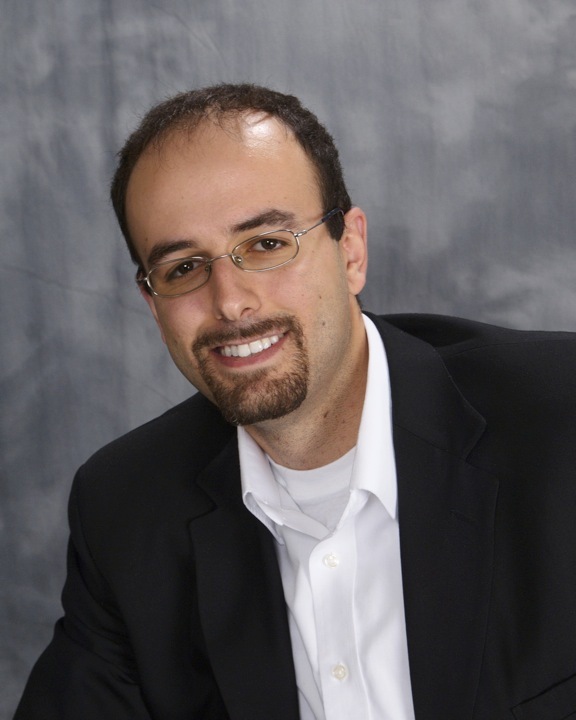 John Shahidi's poetry is known to Assyrians of San Jose. 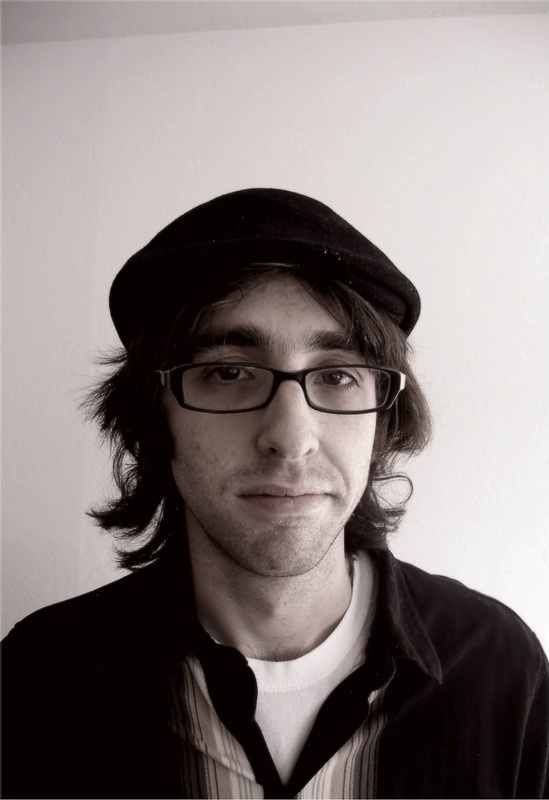 This year he is joining us for the opening of the event with his “Hal d'Ei-Man” poem. We welcome his contribution. Below is a short biography of this emerging poet. John was born in 1966 in the city of Tehran, Iran. He studied at the Sharghe Ashoorie elementary school for five years and Behnam middle school for another three, where he learned to read and write the Assyrian language. 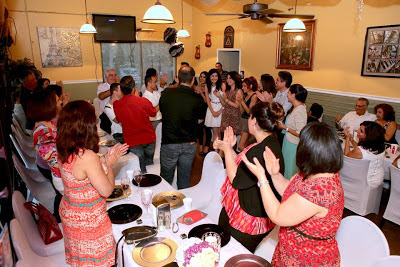 Through his later education, John established his first business in 1989; since 1994 he has settled in San Jose, California where he established his second business. At a young age, John had a passion for music and poetry. To this day he plays piano and writes his own poems, which are inspired by the rich history and culture of the Assyrian people. Due to all his activities, he was honored to work with one of the prestigious Assyrian poets, Rabi Misha Ashoorian, on the CD, Brona D Shemsha. 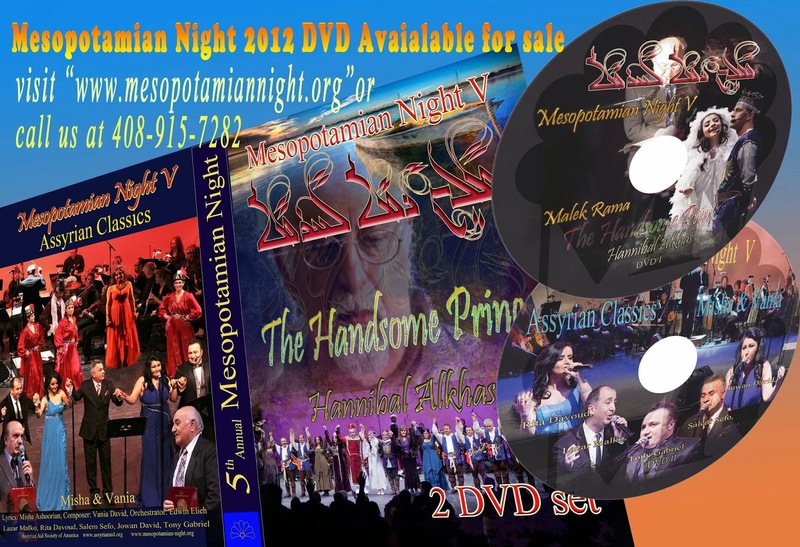 This CD features poems that tell the history of the Assyrian people and was released in December 2012. John is currently working on a solo CD featuring new and original poems and music. This is the first year his poems will be featured in Mesopotamian Night. Rabi Nebu Issabey will be honored with the Mesopotamian Achievement Award at our 6th Annual event as “Raab-Musiqooreh (Master of Musicians) for his selfless and unconditional dedication to the advancement of Assyrian classical music. His masterpiece, composed in honor of the Assyrian Patriarch, Mar Benyamin Shimun, will be our feature presentation. Nebu Juel Issabey, was born in Tabriz, Iran to Harriet and Juel Issabey. Nebu's father was a native of Urmia and a graduate of Sorbonne University in France. But it was Nebu's mother, a graduate of the American College in Tehran, who instilled the first tastes of music in Nebu. At age four, his mother began teaching him the violin and in the next few years he taught himself the piano. With the foundation set by his mother and his innate talent, Nebu began studying with the great Italian violin virtuoso, Luigi Pazanari, and renowned French violinist, Tina Montofel. After 12 years of studying with Pazanari and Montofel, Nebu made his debut at the age of 26 and gave many violin recitals, playing the works of Beethoven, Brahms, and Sibelius, among many others. It was during this period that he won many highly coveted "Pazanari Prizes." In 1955, Nebu went to Lausanne, Switzerland to begin his studies in conducting under the great Swiss conductor, Ernest Ansermet. Upon his return to Iran, Nebu organized the first Assyrian choral group in Tehran, Nineveh Choir. Although the group had started at about 30 members, by 1960 the choir had reached nearly 100 members. The Nineveh Choir gave many choral concerts in Abadan, Tehran, and Ahwaz, performing such well-known pieces as Bach's Motet No. 3, Handel's Messiah and Gabriel Foure's Requiem, as well as, Nebu's own nationalistic and romantic works. It was these aforementioned pieces by western composers that earned Nebu and the Nineveh Choir great recognition by the Iranian Fine Arts Council. In 1966, the Council chose the Nineveh Choir as the leading choral group in the country. Nebu and his choir performed before the Shah of Iran, where Nebu was officially presented to His Majesty. During the busy but successful years of the Nineveh Choir, Nebu still found time to devote to his nation. In 1961, Nebu organized choirs for both the Assyrian Church of the East and the Assyrian Catholic churches. In 1967, Nebu returned to Europe and entered the Music Academy of Cologne, Germany for six years. Among his many professors was the well-known modern composer in Northern Europe, Joachim Blume, professor of piano and music theory, and Carl Kaufhold, professor of orchestration. Nebu was also influenced by Carl Orff, the great composer of Carmina Burana, as well as Boris Blacher, professor of modern composition, both at the Berlin Academy. While in Europe, he performed his own works at the Wallraf-Richartz Museum in Cologne, including modern Assyrian as well as some Iranian music. His works were also performed on German radio and television. During this time, Nebu was known for his use of free dissonance, a combination of tones that create tension and an unforeseeable outcome. In fact, his short compositions for oboe and piano were fine examples of free dissonance and won him a medal by the Cologne Academy of Music. In 1973, he left Cologne with his wife, Eglantin and daughter, Arbella, and was destined for Chicago, Illinois where he reestablished the Nineveh Choir in the same year with both old and new members. They gave quite a few concerts in various areas of Chicago and performed many of Nebu's pieces, notably, an aria from his opera, Semirames. A year later, his younger daughter, Nineveh was born and a few years later, Nebu was reunited with his son Tiglat, who made it to the United States after a perilous trip from revolutionary Iran. Nebu established the Schubert Northside Choir in 1978, which consisted of various neighbors from all walks of life. This choir had become a significant part of the local community of Sauganash in Chicago and was covered in several local papers and newsletters for their successful performances throughout Chicago. It was for his several years of community work and cultural awareness, both for Assyrians and Americans that Nebu was chosen as one of the Twelve Outstanding U.S. Citizens of 1979. After spreading music in the Assyrian and American cultures of Chicago, he looked for new opportunities to build the awareness of Assyrian and Western classical music. His chance arrived when he and his family moved to California in 1985. 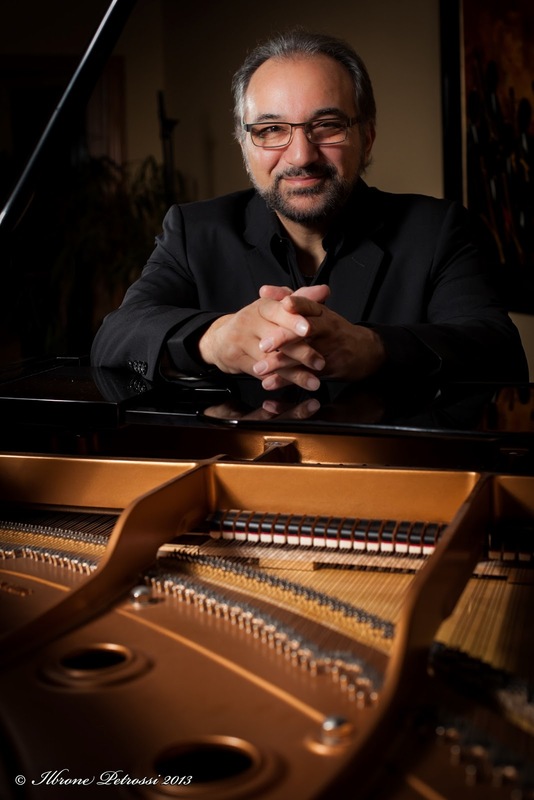 During the first few years, Nebu was busy writing new compositions as well as bringing his youngest daughter, Nineveh, to the stage as a concert pianist. In 1987, Nineveh made her debut at the age of 13 with pieces by such composers as Chopin, Bach, Mozart and Schubert. Nebu's oldest daughter, Arbella, having made her debut at the age of 13 in Chicago as a concert blockflutist (recorder), was also giving recitals, many with her sister. Nebu's son Tiglat, a very talented musician, studied briefly with his father and stayed in Chicago to further his studies in music. In 1995, Nebu was yearning for another choir and reestablished the Nineveh Choir with some old but mostly new members. Their first concert was in 1996 in San Jose and later in Los Angeles. 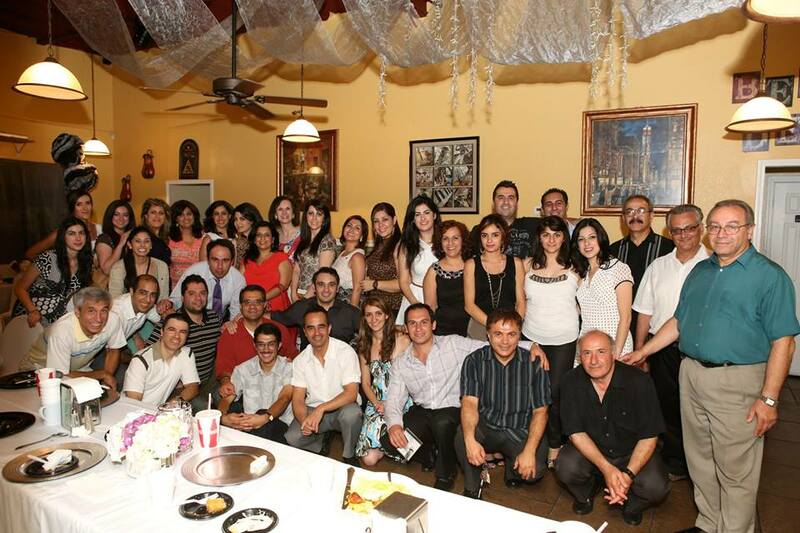 The Nineveh Choir performed several times from 1997 to 2000, singing many of Nebu's works. However, it was Ghoom Ya Jvangha (Rise, O Young Assyrian), Ghooyama (Revolution), and Atouraya Khata (The New Assyrian) that mesmerized devoted listeners. Further, the choral group was especially acclaimed for their performance of Lacrymosa (Crying), a piece from Nebu's requiem. After a long hiatus, one of Nebu’s dreams came to fruition on a spring evening in 2008: To have a national choir that truly portrays the essence of our people; to have individuals from all walks of life, an array of age ranges, and various backgrounds; to have as many voices as possible. Nebu had gathered members not only from San Jose but also from Los Angeles, Modesto, and Turlock. Old members and brand new members came together, this time on a grander scale. It was a year of very hard work from the director and the singers to bring to the Assyrian nation Nebu’s last concert. Traveling among these cities on an ongoing basis for a year, Nebu had claimed his dream. 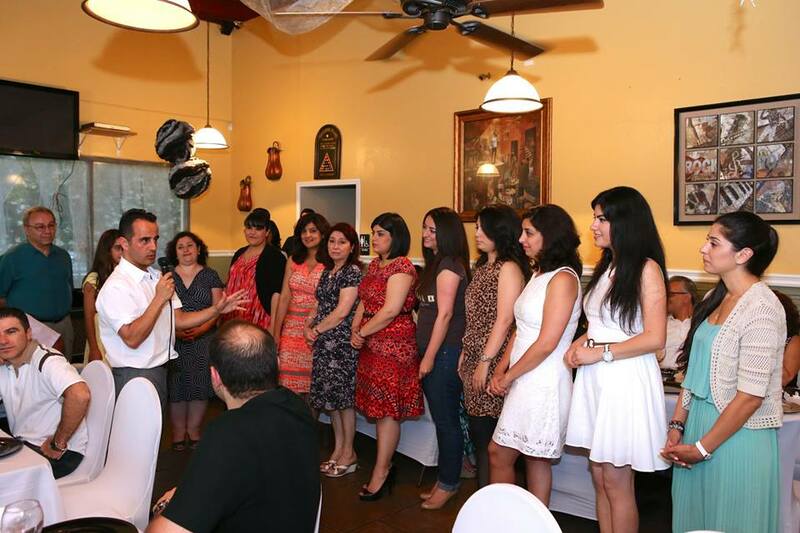 The Nineveh Choir had at long last evolved into the Assyrian National Choir, a body of nearly 50 amateur singers with a passion for their nation, as well as a passion for Nebu’s stirring music. In recent years, Nebu had another dream: To have his composition, Roomraamaa, be recognized as the Assyrian National Anthem, unifying all Assyrians around the globe. You will be hearing the anthem tonight with a new arrangement by his son, Tiglat. It is a passionate piece of music that truly exemplifies the love the composer has for his people. 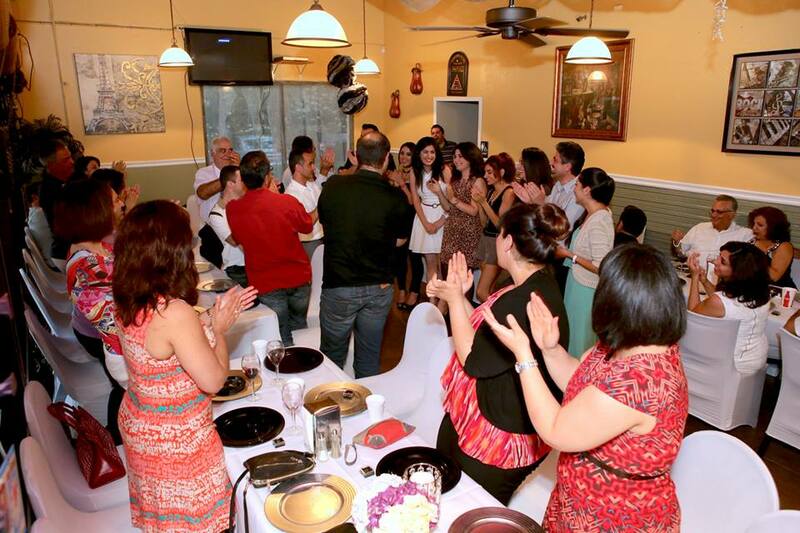 Nebu has always taken great pride in the abundant talent that abides in the Assyrian nation. His efforts over the past decades have had one goal in common: to promote our nation’s culture through the international language of music. 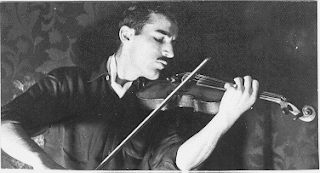 Homer Ashurian was born and raised in Urmia, Iran. He graduated with a Master Degree in Archeology, majoring in Assyriology from the University of Tehran. In 1958, he served as the Curator for Iranian Cultural Museum. From 1963, for several years thereafter, he served as the Principal of two High Schools in Tehran. He was a member of a five-dignitary committee who established the Assyrian Universal Alliance ("AUA") in 1968 in France. During the 1970's, he served as editor of two illustrious Assyrian magazines, titled Kirkha (The Scroll) and Shvila (The Way), both published in Tehran, Iran. In 1975, Homer Ashurian was elected as a Congressman to the Iranian Parliament to represent his Assyrian nation, until the Islamic Revolution in 1979. In 1984, Homer Ashurian migrated to the United States, domiciling in Chicago with his two sons. Shortly thereafter in 1987, he joined the Board of Directors of the Assyrian Universal Alliance Foundation (“AUAF”), where he is now the Chief Executive Officer of this organization. This year, Rabi Homer Ashurian is the recipient of the Mesopotamian Achievement Award in activism with the title "Raab Avoodi/Raab A'woudeh" (Master of Activists) at the 6th Annual Mesopotamian Night. This award is diligently due his tireless contributions to the advancement of the Assyrian cause, worldwide, in particular, his instrumental role in advancing the Assyrian Universal Alliance Foundation to become one of the largest and most prestigious grassroots Assyrian organizations in the United States. 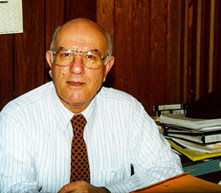 Throughout his long and articulate career, Rabi Homer Ashurian has served in different capacities within various Assyrian organizations such as the Assyrian Youth Society of Urmia, Assyrian Youth Cultural Society of Tehran (Se'ta Sapreta), Assyrian Society of Tehran (Motva), Assyrian Universal Alliance, and lastly the Assyrian Universal Alliance Foundation. The AUAF serves thousands of elderly people in Chicago and surrounding suburbs. It also houses the Ashurbanipal library, where research material in the Assyrian culture and heritage is widely available. In addition, this organization has helped promote cultural and educational programs in the Chicagoland area; it has allocated and funded hundreds of thousands of dollars in scholarship funds to post High School students. Internationally, Homer Ashurian has advocated the importance of Assyrian education in motherland Iraq, and has, in turn, helped award the Assyrian Aid Society with two major grants from AUAF for the printing of Assyrian textbooks. And most recently, he helped secure a grant to help fund the Mesopotamian Night project. The Mesopotamian Night is honored and privileged to welcome Rabi Homer Ashurian as its special guest from Chicago. Mesopotamian Night 2013 has enlisted an impressive list of emerging Assyrian composers (Samuel Khangaldy, George Somi, Honiball Yousef and Tiglat Issabey), a French composer (Michel Bosc) and an American composer (Devin Farney) for the June 15th event at the California Theatre. The original instrumental composition piece The Assyrian Legacy movements III (Hammurabi's Law) and IV (The Fall of the Great Empire). Michel Bosc has submitted an instrumental piece called “Da Pacem Domine: The Prayer of Assyrian Nation”. This piece is part of his extensive requiem that he did for Mesopotamian Night in honor of Assyrian martyrs of Baghdad church massacre in 2010. 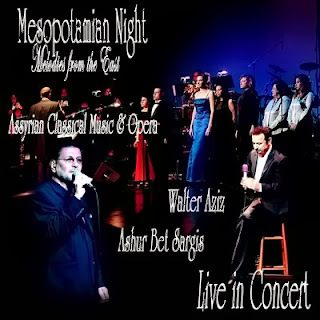 Devin Farney has arranged and orchestrated Fred Elieh’s “Atootayeh Mani Na” and as well as the Assyrian songs of Biba. Tiglat Issabey has orchestrated and arranged his father’s well known “Roomrama” for multi voice choir performance. Honiball Yousef has submitted an orchestration of the “Epic od Ishtar and Tammuz” originally composed by Ninef Amirkhas for his father’s poem late Simon Amirkhas. See below for a review of these composers profiles and biographies. 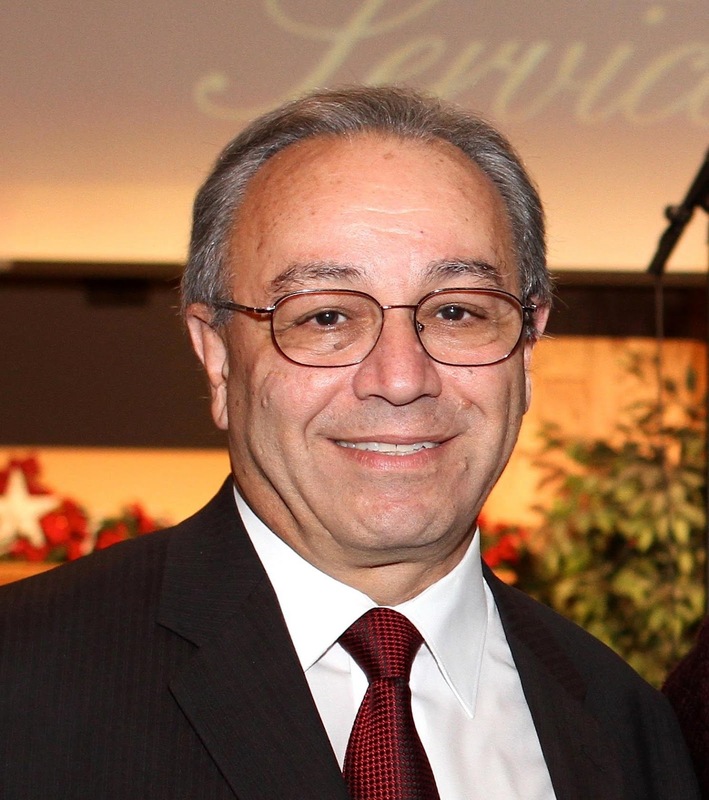 Pastor Samuel Khangaldy was born in Tehran, Iran into an Assyrian family. After graduating from National University of Iran with a degree in Economics, he worked many years for Iran Aircraft Industries, a company under Ministry of Defense. Like the majority of Assyrians who immigrated to other countries after the Islamic revolution, Samuel and his family moved to the United States in 1984 and settled in San Jose, California. Samuel attended San Jose Christian College (now William Jessup University) and graduated with a degree in Theology and received his ordination as the Minister of the Word in 1996. Samuel started his first music lesson when he was eight years old. He played accordion for three years but because of his great passion for his dream instrument, he switched to piano and received his trainings in classical music. 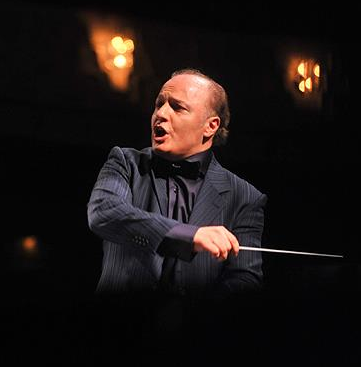 His compositions were performed by Tehran Symphony Orchestra, and National Iranian Radio and Television Orchestra. He has directed choirs in different churches, schools and for the Shah of Iran. His music archive includes several classical pieces, piano solos, military marches, Assyrian folk dances, and numerous Gospel music and lyrics written in two languages, Assyrian and Farsi. 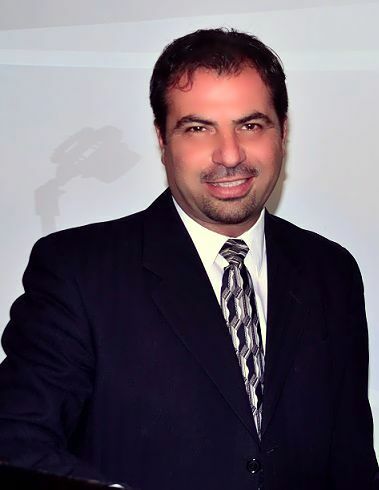 As a pastor and a musician he is well known among the Assyrian and Persian communities in different countries in general and in San Jose and the Bay Area and Southern California in particular. Pastor Samuel has been teaching and training piano students for about four decades, some to an advance level that have become piano teachers. We should add calligraphy and oil painting to Pastor Samuel’s artistic profile. In 2009 Pastor Khangaldy joined Mesopotamian Night productions by composing the Gilgamesh Oratorio’s overture and also helping us coaching the Mesopotamia Choir Ensemble. Last year he generously contributed to our event two beautiful calligraphy pieces. His contribution to our 2013 production however has significantly increased. In addition to composition and orchestration works he is the lead coach for our Mesopotamia Choir Ensemble. George Somi’s role this year also has increased dramatically. We see a bright future for him in his music career and we think our community will highly benefit from his creative talents. George shared the following with us about himself and his music. I graduated from Embry-Riddle Aeronautical University with a Bachelor of Science degree in Aerospace Engineering with a focus on astronautics in December of 2011. I currently reside in the Phoenix area, where I work as a systems engineer at Honeywell Aerospace. 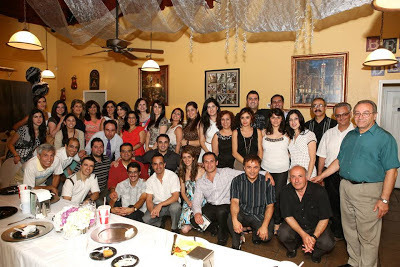 I'm vice president of the Assyrian Aid Society chapter here in Phoenix. I'm also a treasurer in the American Institute of Aeronautics and Astronautics (AIAA) Phoenix chapter, and I've recently become involved with the National Space Society (NSS) here in Phoenix. I'm a big advocate for pushing aerospace policy in our nation. I strongly believe in a robust space exploration program, where humans regularly visit our celestial neighbors (asteroids, Mars, the Jovian moons, and beyond). I'm also an advocate of planetary colonization. It is the only way to ensure the survival of the human race. My career goal is to make space access much cheaper and space travel more efficient by transitioning current propulsion systems from chemical-based propellants to more exotic propellants, including plasma and antimatter. In my artistic life, I have been extremely busy. As a matter of fact, the past year has probably been my most prolific in terms of composing. I was commissioned by Presidio Dance Theatre to create an original score to a ballet production based on the short story The Little Lantern by Ghassan Kanafani. The score is about halfway complete. I have also been busy scoring works for Mesopotamian Night. 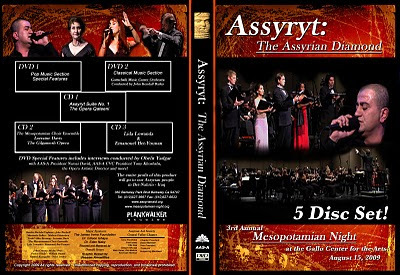 I know we won't be able to put on Assyrian Legacy V: Church of the East, but I was hoping to replace that portion of the program with the continuation of the suite from 2010. We left off on movement II. The third movement, Hammurabi's Law, as the name suggests, celebrates the code of law that is known as the first law code in the world. The music capitalizes on Ancient Near-Eastern tones by using the Hijaz Maqam, a scale readily identifiable as Middle-Eastern. The rhythms are deliberate and vigorous, representing the content of the law code. The fourth movement, The Fall of the Great Empire is almost an antithesis of the first movement (The Rise of the Great Empire). The Fall is cinematic and grave. It represents the fall of Nineveh in 612 BC. The movement begins with an ominous and subdued lower-register string melody, which is answered by a sudden, dissonant call by the higher strings. The two clashing notes, D and Db, create a very unpleasant and chilling sound. This sequence represents the impending doom of Nineveh. The piece culminates in a powerful final cry by the brass, who repeat the initial string melody while a passionate French horn countermelody cries to the heavens in memory of what once was. The piece ends with an ominous repetition of the Rise fanfare while strings hold a tri-tone. This sequence represents the rise of the Persian Empire and the transition of Assyrians to a conquered people. Honiball Yousef was born on January 2nd, 1971. Since early age he became interested in music and started experimenting with musical instruments. In 1985 he joined the Conservatory of Music High School in Tehran. While in the school he also studied composition with well-known Iranian musicians such as Morteza Hananeh and Sharif Lotfi. These two masters had a big influence in shaping musical thoughts of Honiball. Honiball was also influenced by two other music masters: Thomas Christian David and Tengiz Shavlokhashvili. In 1995, Honiball joined the Music University in Tehran and continued his advanced music education. Honiball for years has been involved with church music in Iran and elsewhere outside Iran and has composed and arranged several Christian Music pieces. He has more than 26 years of experience in music education and In 2002 he established the “Beneil Music Academy” in Tehran where he trains young musicians and artists. Recently emerging Assyrian musicians and artists such as Sam Madoo, Edwin Elieh, Shemiram Qashapoor and Sinella Aghassi at some point have been trained and educated in this academy. Following his believes and convictions, in 2000 he established the “Messaiah Ensemble”. This group includes symphonic and electronic instrumental musicians, choir and solo singers and for many years has performed classic and modern Christian Music in Iran and internationally. The last performance of this group was in Vahdat Hall in Tehran, which is the Iran’s most important performing arts center, attracted a lot of attention within Iran and internationally. In recent years he has shown great interest in eastern folklore music in particular the works of contemporary Assyrian musicians. He sees this as a beginning in his research in ancient and modern Mesopotamian traditions which are already having great influence on his own creations. Since his youth he was also greatly influenced by Hannibal Alkhas art the iconic Assyrian visual artist and poet. Honiball after his recent extensive research on Mesopotamian music, performed a concert of “Assyrian Folkloric Music” in Tehran for Assyrian and non-Assyrian audience. He called this concert “A Reseach Oriented Concert”. 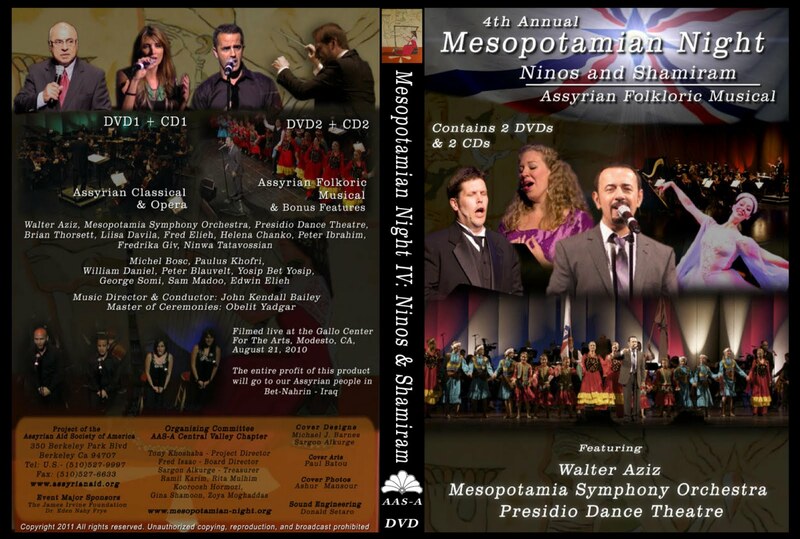 Honiball has contributed the orchestration and arrangement of the “Epic of Ishtar and Tammuz” choir and solo song for our 6th annual Mesopotamian Night concert. We look forward to an increasing role for him in future productions. Devin helped the Mesopotamian Night production last year with Fred Elieh’s song and this year his role has increased significantly as well. He took a shot on Biba’s non-trivial songs and we are sure our audience will love his arrangements. French composer Michel Bosc (born in 1963) is largely self-taught. In 1985, the French singer and composer William Sheller convinced him to devote himself to writing music. Since then, he has tackled registers as diverse as chamber music, symphonies, sacred music and music for the theatre. Leading soloists have given Michel Bosc encouragement, among them the flautist Jean-Pierre Rampal (for a flute trio), the countertenors James Bowman and Bertrand Dazin (creators of his cantata Ils sont là), the soprano Natalie Dessay (for the melody Madinina), John Walz, first cello of the Los Angeles Music Center Opera and Monica Cecconi-Botella, composer and premier Grand Prix de Rome (for the Elégie for strings). A member of the Société Marc-Antoine Charpentier, Michel Bosc is a distinguished music critic and analyst. His writings include the sleeve-notes for a recording of French Baroque music by the Petits Chanteurs de Versailles. As a composer, Michel Bosc is the author of over two hundred pieces of music; many of them have been played in places as diverse as Paris (Théâtre du Châtelet, Salle Gaveau, Musée d'Orsay), Angers, Saumur, Tours, Fontevrault, Annecy, Strasbourg, Lille, Lyon, Poitiers, but also Wavre (Belgium), Landgoed Vilsteren (The Netherlands), Madrid (Spain), Brno (Czech Republic), Pasadena and San Jose (USA), Yokohama, Tokyo and Kobe (Japan) . As an orchestrator, he has done several arrangements and transcriptions for symphony or chamber orchestras. His work spans over a wide range of styles: symphony, symphonic poem, choral music, concerto, string quartet, opera, wind quintet, brass quintet, trio with piano, melodies… His sacred music includes a mass, a requiem, a set of “Leçons de Ténèbres” and two oratorios. Bosc's works have been performed worldwide by such performers and ensembles as Jean-Walter Audoli, Hugues Reiner, Philippe Fournier and Maximilian Fröschl, the soprano Agnès Mellon, the choir conductor Michel Laplénie, the Ensemble Sagittarius, the brass quintet of the Orchestre National des Pays-de-Loire, the Orchestre Pasdeloup, the National Orchestra of Kazakhstan, the Academic Symphony Orchestra of the Ulyanovsk Philharmonia, the European Orchestra, the Orchestre Instrumental d’Ile-de-France, the Orchestre Symphonique Lyonnais and the Ensemble Gabriele Leone. The music of Michel Bosc is both tonal and highly personal, marked by a fierce, independent hedonism. In the words of conductor Maximilian Fröschl, Bosc’s music combines “melodic sweetness, polyphonic rigor and the power of rhythm”. Several works of Michel Bosc are published in the United States by Wolfhead music. Compilations of scores are also available on lulu.com. More information and details about Michel Bosc's works can be found here. - study: Mannequins GéGé, Chic de Paris. He occasionally writes for the musical magazine La Lettre du musicien. Michel Bosc contribution to Mesopotamian Night project has been significant, prolific and selfless. This year with his “Prayer of Assyrian Nation” instrumental piece, we are opening up a new exciting field: the Assyrian Spiritual Music. We have blessed by this unconditional relationship and his devotion to arts and music and look forward to more fruitful cooperation in future years. Born in Tehran, Iran in 1958, Tiglat’s musical origins are quite literal. His mother, Shemirum Issabeik, was a vocalist possessing a voice of beauty and power; his father, Nebu Issabey, was an accomplished concert violinist, distinguished composer and vigorous conductor. Without question, it was Shemirum who was responsible for his artistic sensibilities, raising him in an environment that not only aided, but provoked him into music. Although his influences were immediate, his musical studies began considerably late. His serious musical development began at age eleven and came at the hands of Luigi Pazanari at the Tehran Music Conservatory. Come 1979, Tiglat found himself in the United States working towards the American dream. He eventually settled in Chicago and quickly matured into one of the Assyrian community’s most prolific and dependable arrangers. At the age of only twenty-six, Tiglat arranged Sargon Gabriel’s 1984 self-titled album which featured the string section from the Chicago Symphony Orchestra. For three decades, he would solidify himself as one of the most valuable and influential producers in the Assyrian community. Tiglat was able to reform Assyrian pop music by incorporating various ethnic elements from all around the world. He replaced typical musical instruments with more distinctive options: trading in guitars for woodwinds, adding Latin percussion in place of the tumbak, and substituting modern synthetic leads for the zorna. His signature precision arrangements and diverse style have been emulated time and time again. In 2013, Tiglat rearranged his father’s renowned “Roomrama” (which is used as the Assyrian National Anthem) from the ground up. Using drastically different voices along with all-new orchestration, Tiglat has innovated Assyrian music once more- this time with a piece closer to the heart.